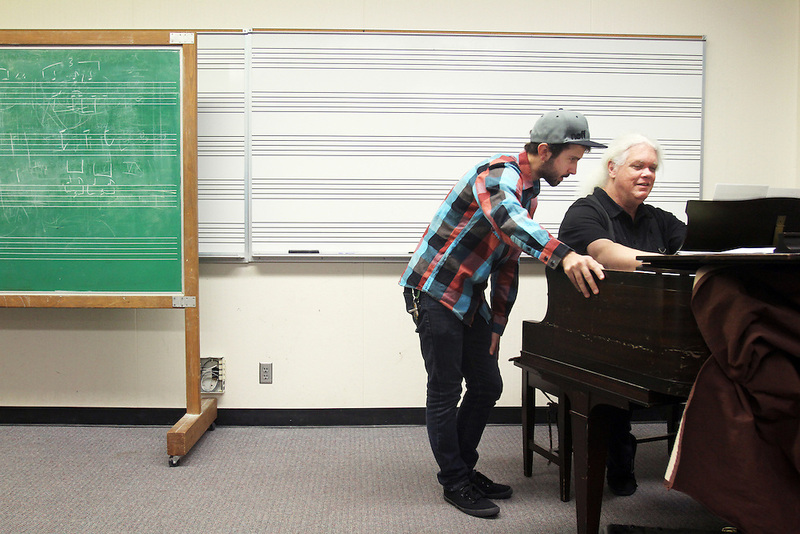 To grade his music students' finals, Marshall Tuttle plays their compositions in front of them on Monday, Dec. 12, 2011. No pressure! Here, Matt Berg is judged at Mt. Hood Community College in Gresham.